Proof positive that God loves mommies and wants them to be happy. P.s. Bl. 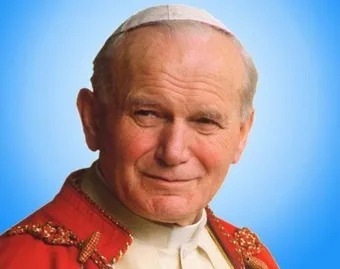 John Paul II, pray for us! Well thank goodness because my selfish self drinks coffee while preggo. Oh praise God! Not that I ever cut it out…I just drink it and then wonder if it’s to blame. I shall wonder no more! Amen amen, same here. Guilt be gone!